The Goddard School®, the nation’s best-in-class preschool system, is proud to showcase the importance of environmental conservation through its month-long Root for Earth event, which is designed to teach children about daily environmental impacts and give busy families realistic tips for making a difference. 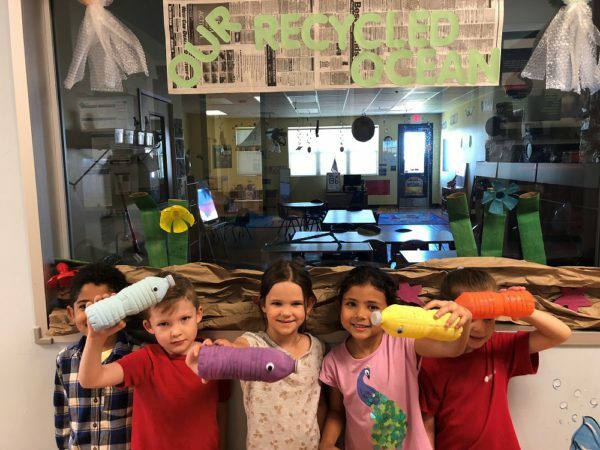 Preschoolers will participate in a new challenge this year to illustrate the environmental effect of single-use plastics. They will upcycle a month’s worth of single-use plastics into works of art to show how much plastic waste they saved. Each creation will be featured on The Goddard School’s national Facebook page, and members of the public can vote for their favorite project from April 22 through April 26. Winners will be announced April 29. To demonstrate how children can make a difference, preschoolers will plant gardens, participate in recycled runway fashion shows, try glow-in-the-dark yoga and enjoy other eco-friendly projects inspired by science, technology, engineering, art and mathematics. On Earth Day, Goddard Schools across the country will turn off all non-essential lighting for one hour to save nearly four million watts of energy. Since 2011, this Lights Out! initiative has saved up to 25.3 million watts of energy.